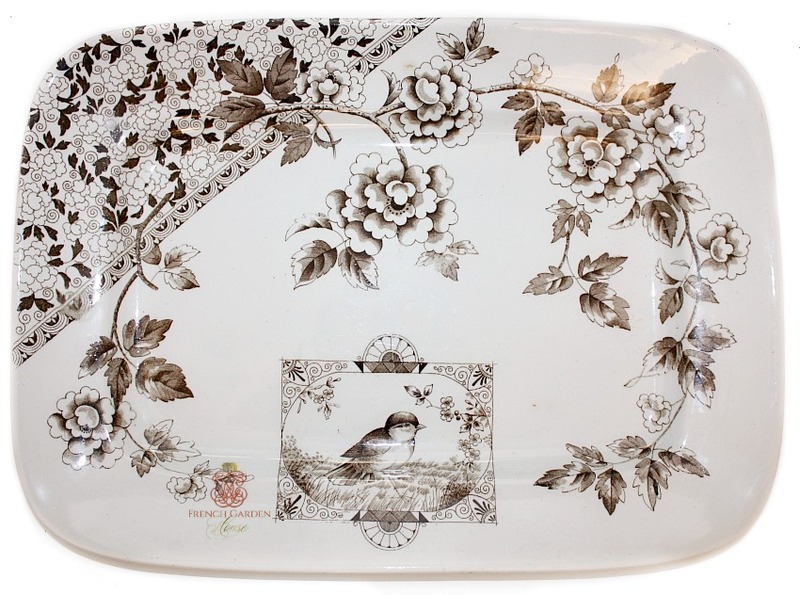 Exceptional large desirable Victorian Aesthetic Transferware Platter is transfer printed in dark brown with the rare to find and beloved Victoria pattern. Made by J.F. Wileman of Foley Potteries, Tunstall, Staffordshire, England in the 1880's. 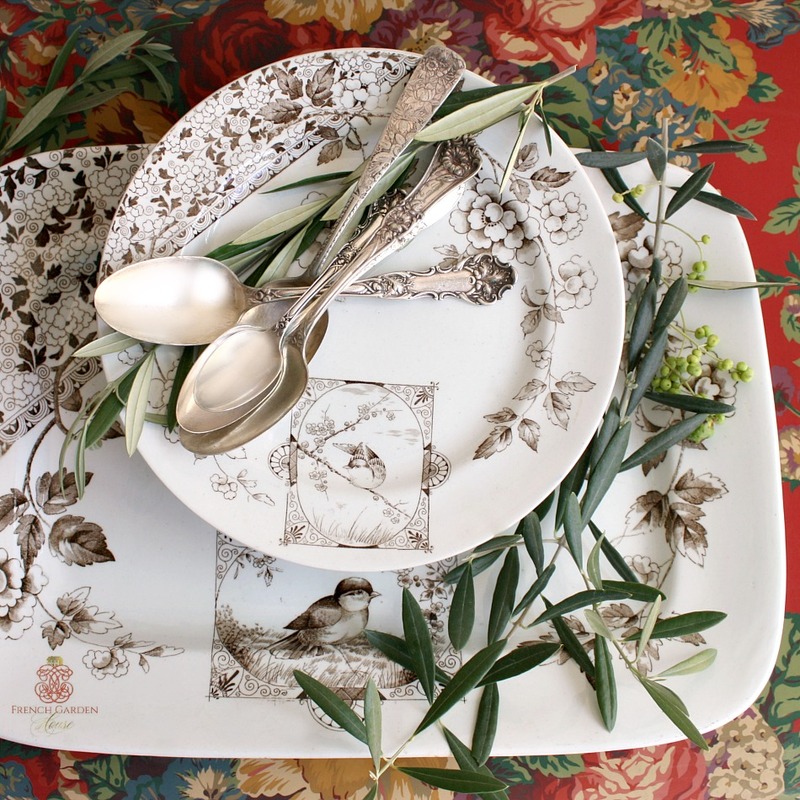 The floral Victoria design features oversized ruffled hydrangeas with beautiful small leaves on the branches. A decorative diagonal geometric design on one side for true aesthetic design, but what makes this piece truly exquisite is the inset with a bird. 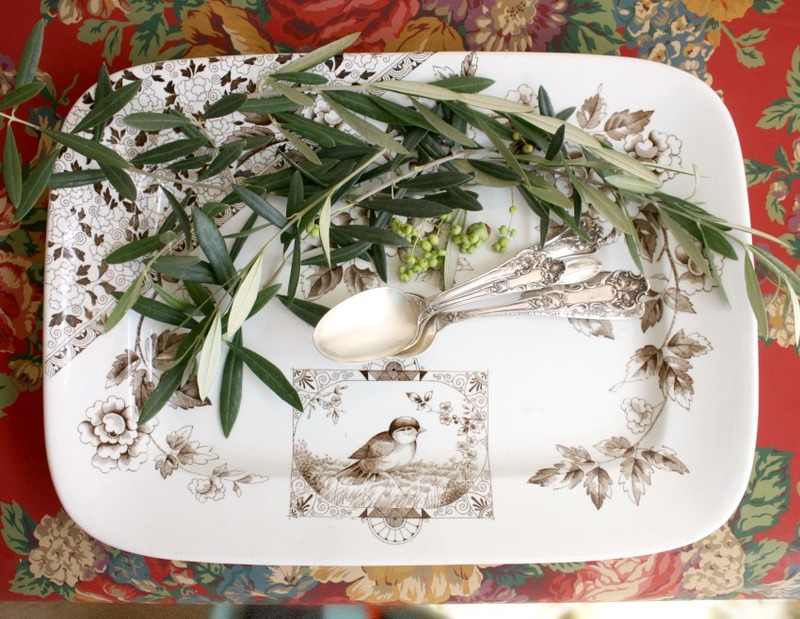 This pattern displays all the love the Victorians had for nature. It was no doubt displayed prominently in the late 1800's in the home of the family it belonged to. 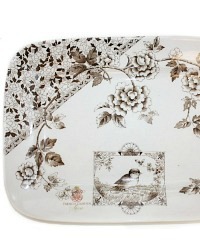 This is a heavy platter, large enough to display as the work of art it is, to serve your ham or turkey for the holidays. Very good condition for its age. An heirloom addition to your collection. 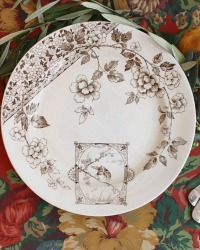 Last photo shows the platter with the matching plates, sold seperately.